When it comes to developing e-commerce solutions, businesses often prefer creating their own custom solutions that meet their wants and needs. However, custom development isn't a feasible option for business tied to a small (or limited) budget. Thankfully, there are plenty of software available online that helps small businesses create their online website and start selling from it, in no time. With more than 150,000 satisfied merchants, Shopify is a great option for building an ecommerce website. The best aspect about this e-commerce platform is that help you build a customizable e-commerce site that matches your business specific needs. This platform includes over hundred templates, giving you the ability to design an e-shop as you deem perfect. It helps to build an app store that expand your already existing web store. Provides Google Analytics integration to help you track customer purchases and a whole lot more. 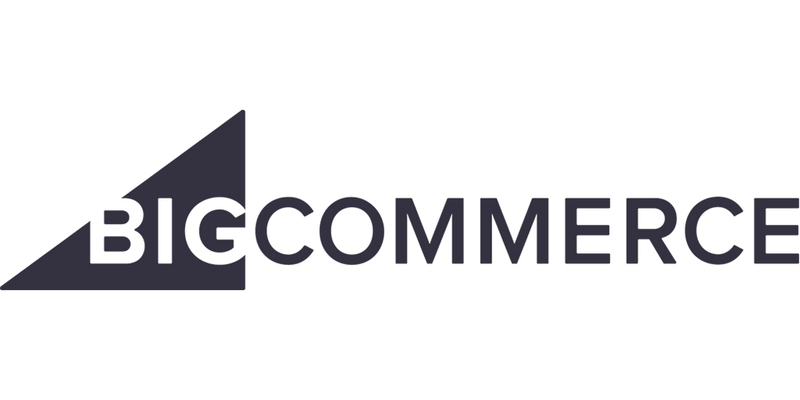 Another best e-commerce option is the popular shopping cart called BigCommerce, ideal for creating small-to medium-sized online stores. You can use this platform on a 15-day free trial basis. The BigCommere platform offers built-in features for increasing sales, which includes Social media marketing, email marketing, promotional tools (such as promotions and coupons) and marketing. Integrate seamlessly with industry-leading tools like MailChimp, Google Shopping, and more. Allows building e-commerce site using from a dozen of pre-made e-commerce templates (free as well as premium ones). Provides secure online checkout option and much more. Volusion provides the all-in-one solution for establishing your online presence. Put it simply, the platform help in building an e-commerce site with a shopping cart and also enables you to host that site. It provides all the tools required for building and managing an online store, including a payment gateway, flexible payment options, and so on. It comes equipped with a store builder that helps to set up an online store up and running. The platform provides several pre-built responsive e-commerce templates to help you build a good-looking online store that adjusts to fit any device screen. Comes loaded with plenty of marketing tools that help drive more traffic and increase sales. Offer secure and safe hosting capabilities and many other features. If you're looking for a free website builder, then Wix is worth a try. Though, you might not find Wix features impressive enough to build an e-store, but you'll definitely like its beautifully-crafted visual design interface, giving you the ability to place the elements in the site of your choice of color. Also, this is an ideal platform for setting up e-commerce site containing a limited number of products. Its visual editor provides live examples and reference regarding e-commerce templates. It is easy to setup, making it a perfect choice for newbies. Does not require you to pay any transaction costs, however, you'll need to pay a nominal monthly fee. Last on our list is Etsy, your perfect solution for putting an online store that helps you reach million of buyers, by letting you sell vintage items and handcraft goods. Though, you may find Etsy less customizable compared to other e-commerce solutions, but it's a great option for creating a site that sells crafts supplies online. This platform provides you many different ways to present your products to buyers, thereby helping you establish yourself as a solid e-commerce brand. Buyers can mark your product in the favorite category. Help in creating a professional looking design with a host of social interactions. Are you running a small business firm? Do you wish to take your business online? If that's the case, then it is recommended that you should opt for any one of the aforementioned e-commerce platforms that best suits your needs of building an e-store. « What Does the Recent Google Update Mean for Your Website?